I’ve just added a couple new features to the blog, hopefully to help those that like Pinterest and our recent addition to the blog: Style Files. 1. I had noticed that our patterns and even some of the images on the blog have been shared by readers on Pinterest. Not only does this make me so happy that everyone is loving what they see, enough so to share it with their friends (the whole idea of me posting them in the first place). But it also makes me extremely proud! To help readers that have a pinterest account share our goodies with their friends, I’ve added a little “Post to Pinterest” button down the bottom of each page (after the Facebook share button). It’s as simple as clicking the button, selecting the image (from the pop up) and then “pin it”. Follow the normal steps in pinterest to pick which of your “boards” you would like to add the image to. 2. I have added a new menu for the Style Files so that you can find them all quickly and easily. As new Style Files are added every Friday, they will appear in this menu for easy access. Once again (as with everything on the blog) if you like what you see then share it with your friends on Facebook and Pinterest or via any of the other “Share the Love” buttons! If you would like to be a part of the blog in any way feel free to contact me. I will be adding more and more guest blogs over the coming months and am always on the look out for small businesses to feature either in a blog post or Style File. If you would like to know more about the Style Files follow this link. 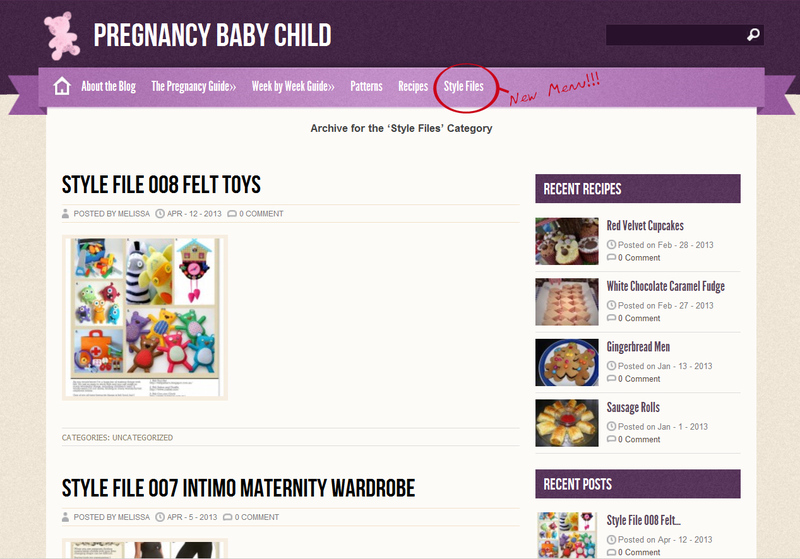 The only thing that I ask is that your guest post or Style File is in some way related to pregnancy, babies or children – since that’s what we are all about! !